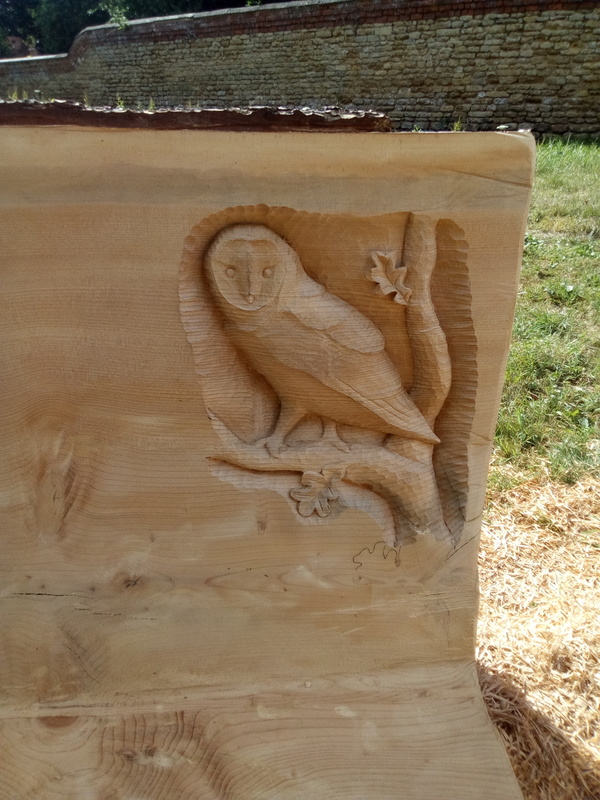 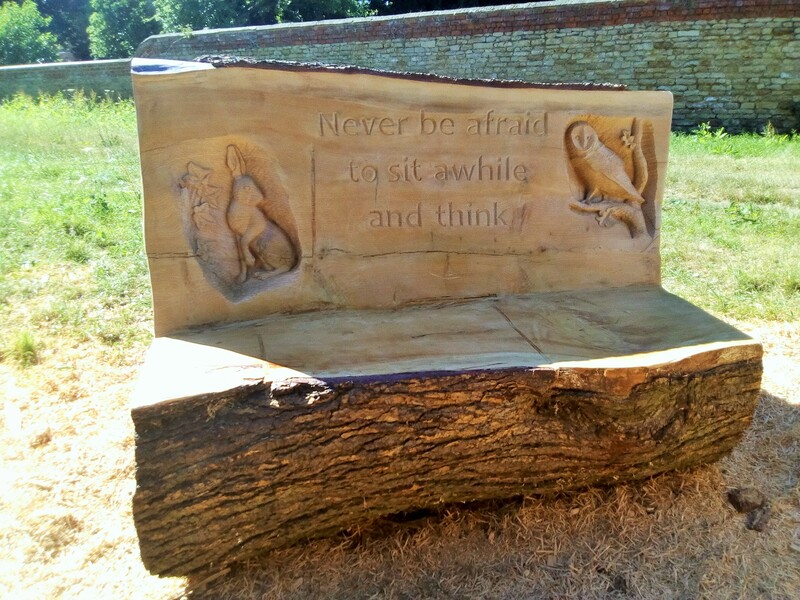 On to the second log bench, this one with a design to tie in with the text “Never be afraid to sit awhile and think” (chosen by the Parish Council). 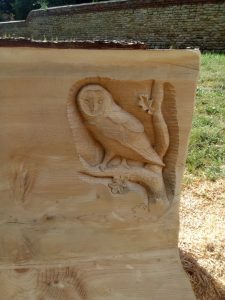 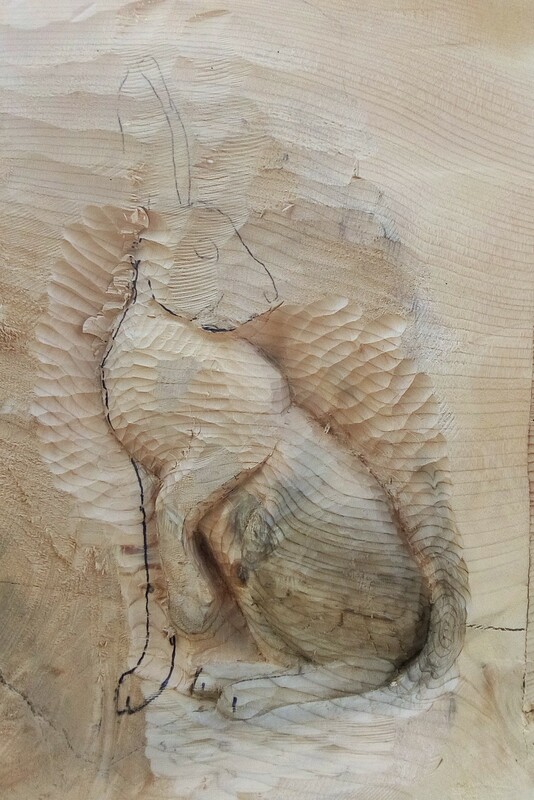 Such sentiments always bring nature to mind, so I decided on a hare and owl in opposite corners of the bench back rest. 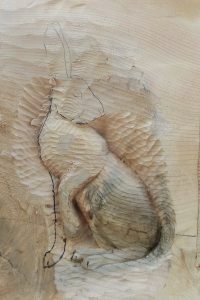 …then the hare, which had to be set in quite deep due to a gouge from the chainsaw being in an awkward position. There was a check and a bit of rot around the hare’s back leg which I had to get rid of too, meaning there was more work than anticipated. 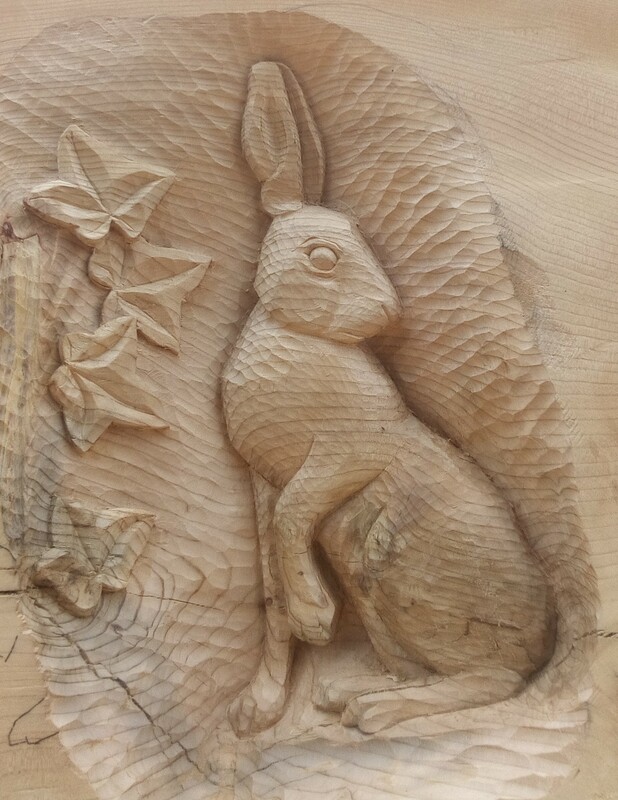 I think it worked out well though, the depth means the hare is revealed gradually as you approach from the side and gives the carving a bit more interest.